The Building Department is responsible for the permitting and oversight of all aspects of building construction, zoning enforcement, sign codes, site plan review and permitting and inspection activities related to electrical, gas and plumbing codes. The Public Health Division is responsible for public health services including food establishment inspection, fuel storage monitoring, public lodging permitting and inspection, septic system permitting and inspection and public nurse services. The Licensing Department is responsible for licensing activities and enforcement, parking citation processing and enforcement, weights and measures activities in the retail marketplace and non-criminal citation administration. The Conservation Division is responsible for wetlands and natural resources protection and the management and maintenance of Town of Barnstable Conservation lands. Programs include Wetlands Protection and Conservation Land Management. 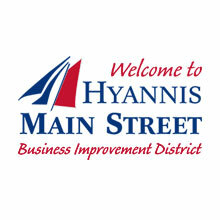 Hyannis Main Street Waterfront Historic District Commission(HHDC) promotes the preservation of the unique historic character of downtown Hyannis and Hyannis Inner Harbor. The Commission strives to create a desirable place to live, work and enjoy through the preservation, maintenance and improvement of historic vernacular. Old King’s Highway Regional Historic District (OKH) is designated as the area north of Route 6 (the Mid Cape Highway) from Sandwich to Orleans. The Town of Barnstable OKH Committee reviews applications for any change in the exterior of buildings and structures, landscapes, fences and signs, and applications for new construction or demolition. Planning Board is the permit granting authority for subdivisions and land divisions under the subdivision control law (MGL Chapter 41 Section 81). Site Plan Review is an administrative process established to advise the Building commissioner. The objective of Site Plan Review is to assure development standards are met in all business, commercial, industrial, and multifamily projects. Zoning Board of Appeals is entrusted with the granting of special permits for certain uses and evaluation of requests for variances to the Zoning Ordinance. The Board also decides appeals of administrative officials and is responsible for the issuing of comprehensive permits for affordable housing. The Barnstable Business & Permitting Guide is a user-friendly tool for assisting small businesses looking to locate in the Town of Barnstable through the permitting, licensing and zoning process.